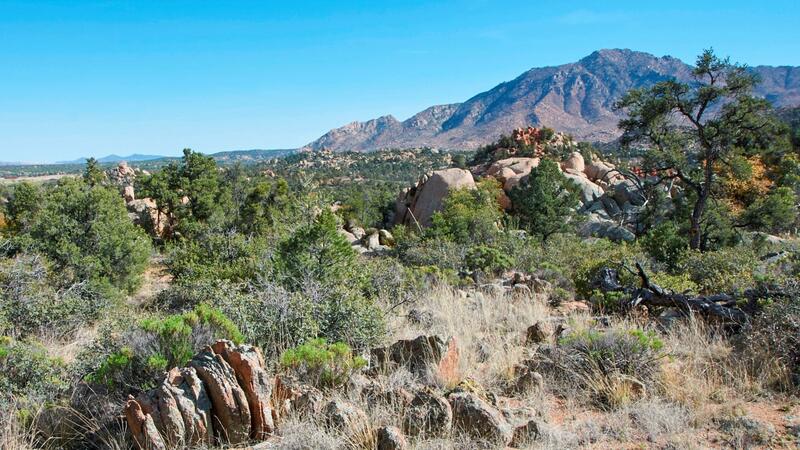 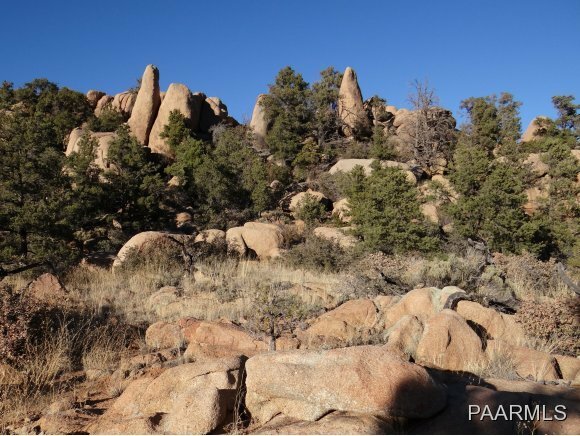 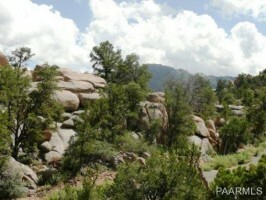 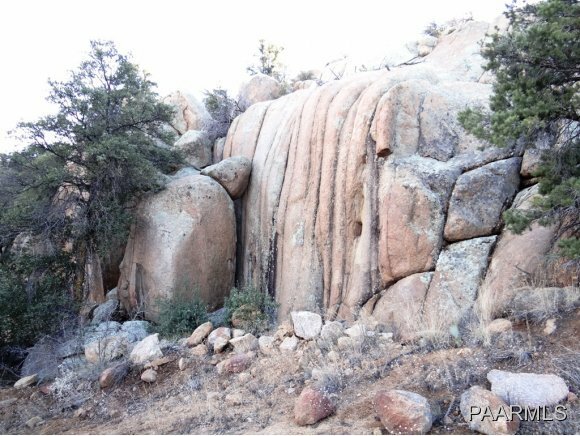 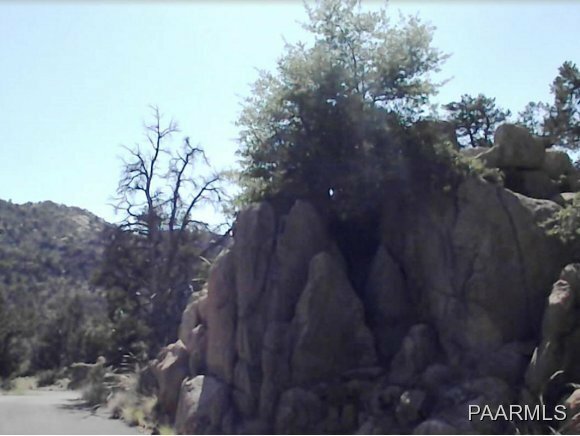 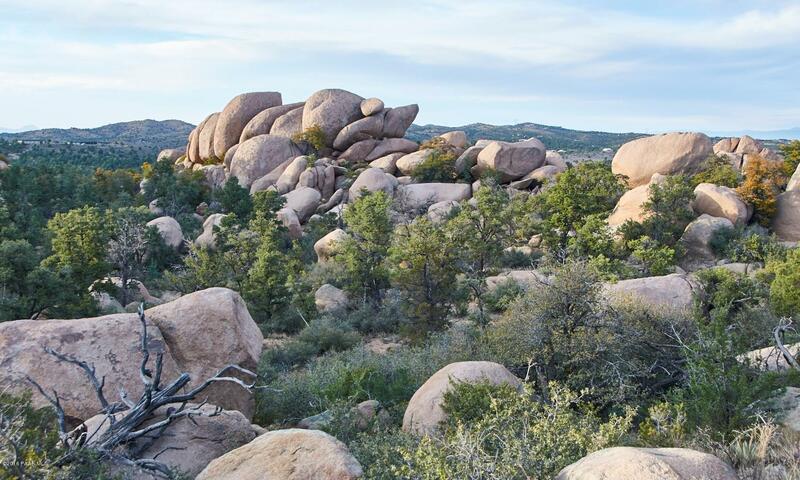 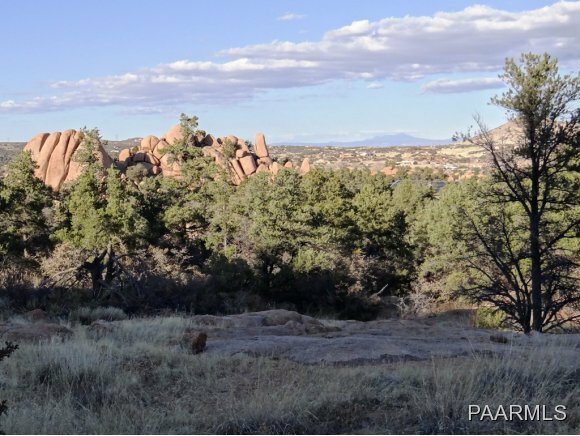 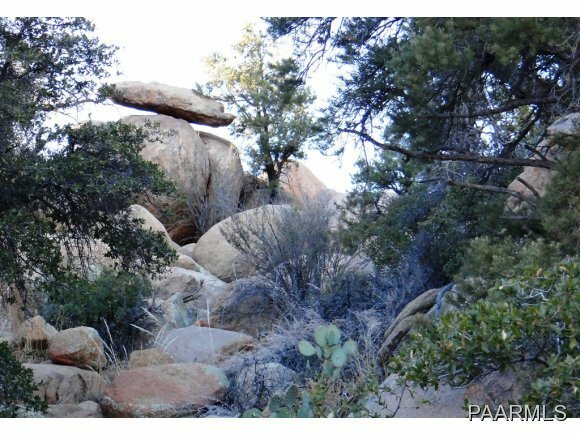 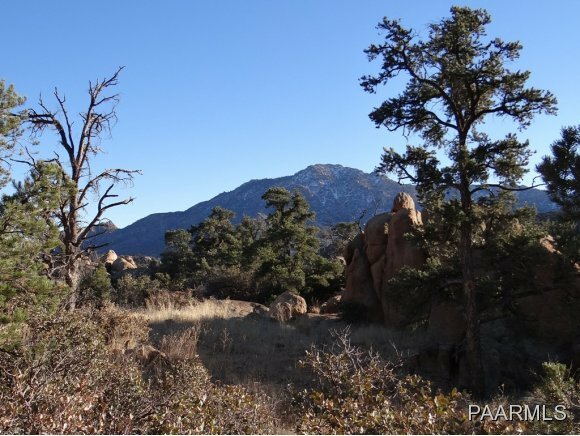 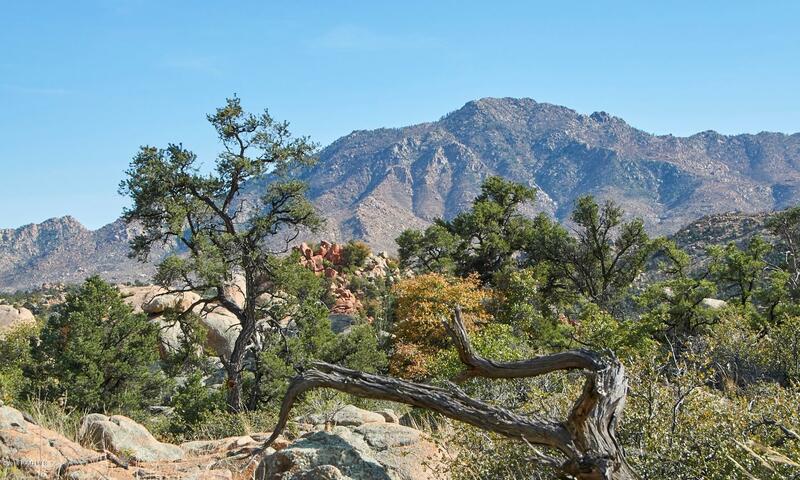 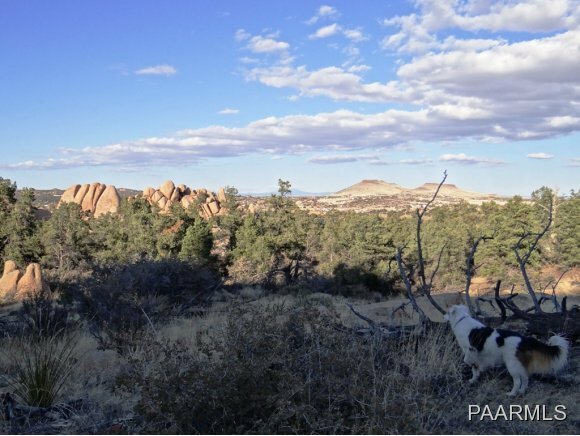 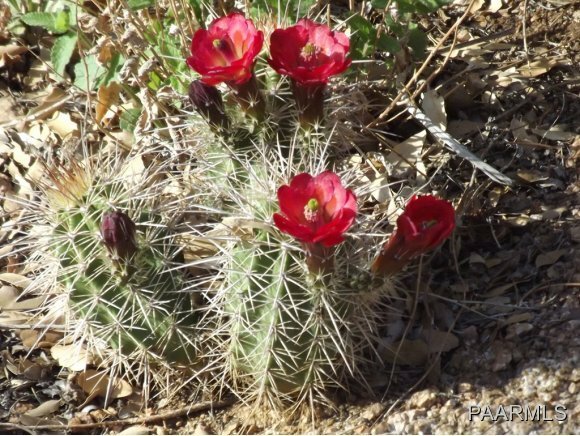 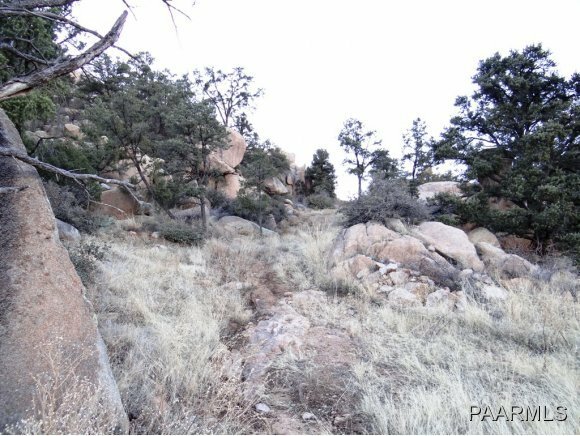 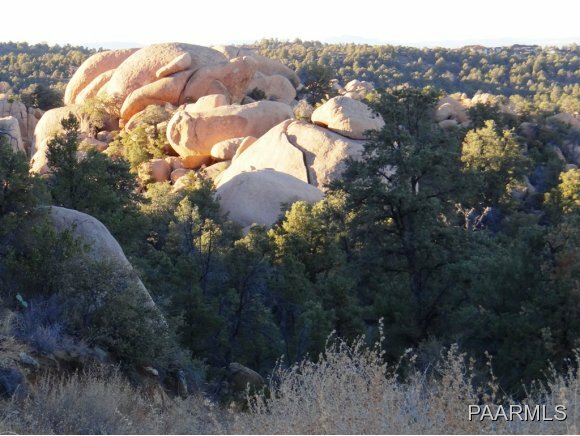 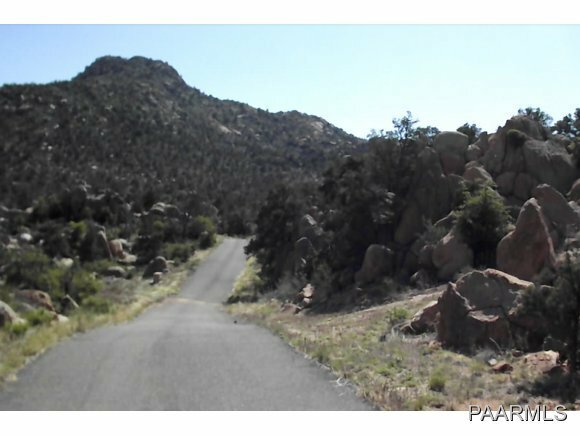 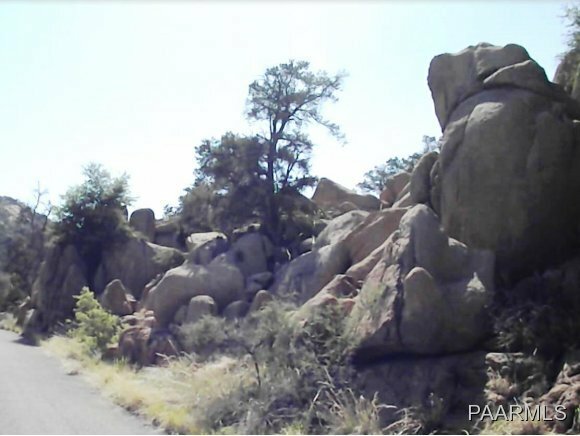 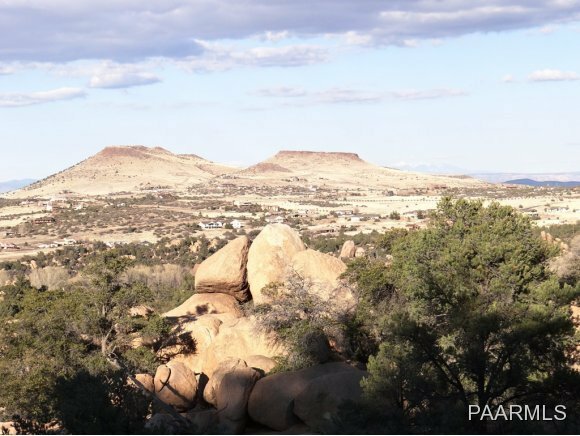 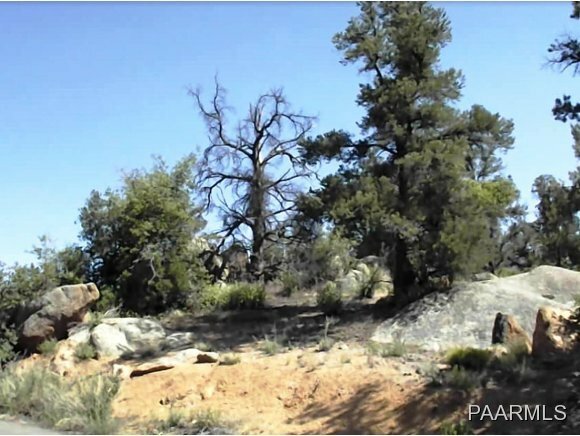 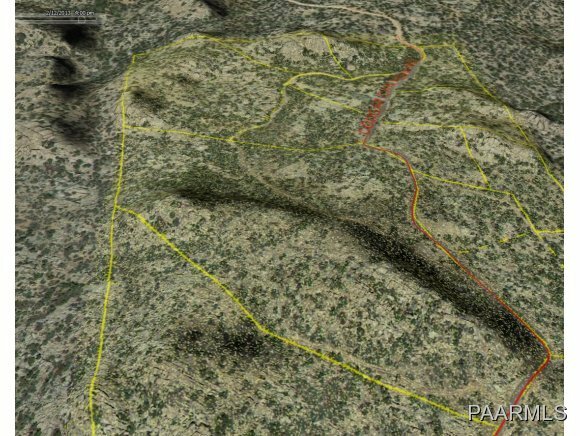 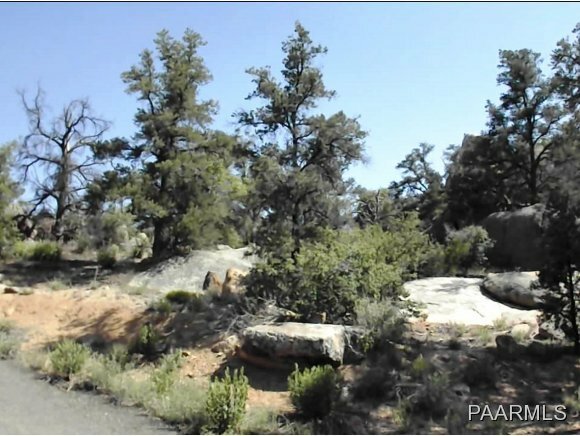 This lot 5 in Wikutepa is one of the largest and most picturesque lots in all of the Prescott Area. 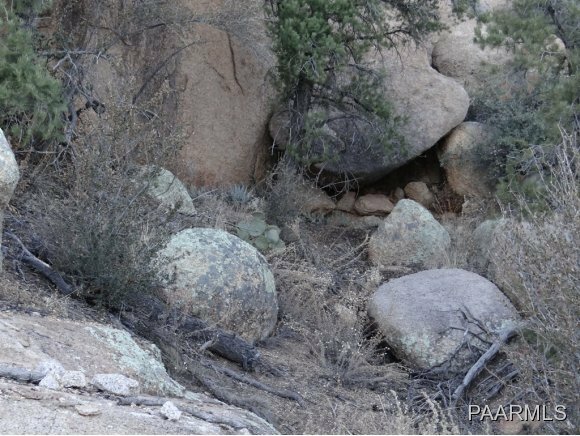 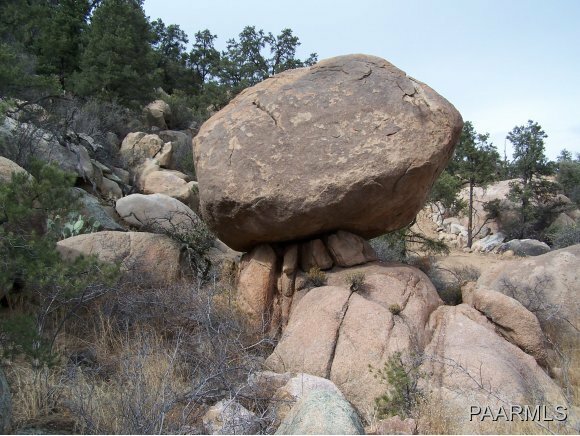 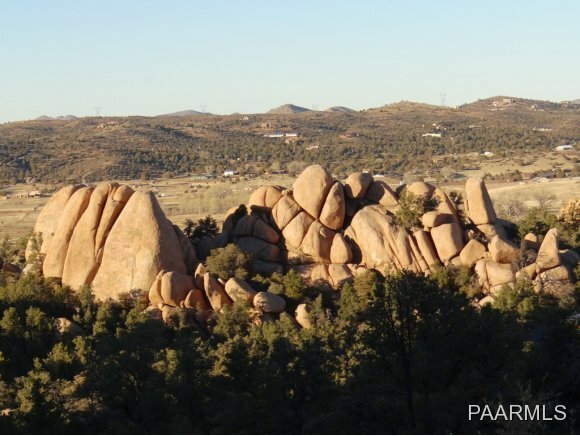 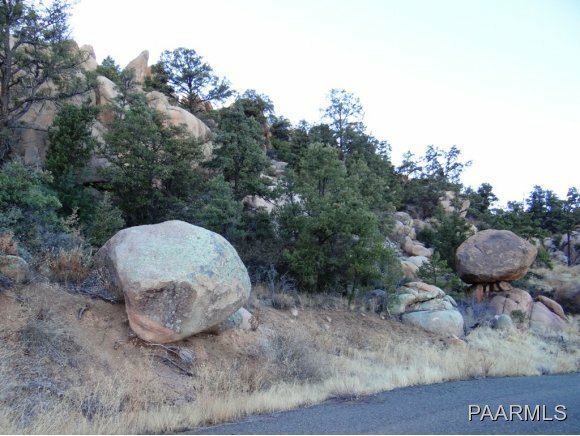 If you like granite outcroppings, boulders as big as houses and Pinon Pines, this is your lot. 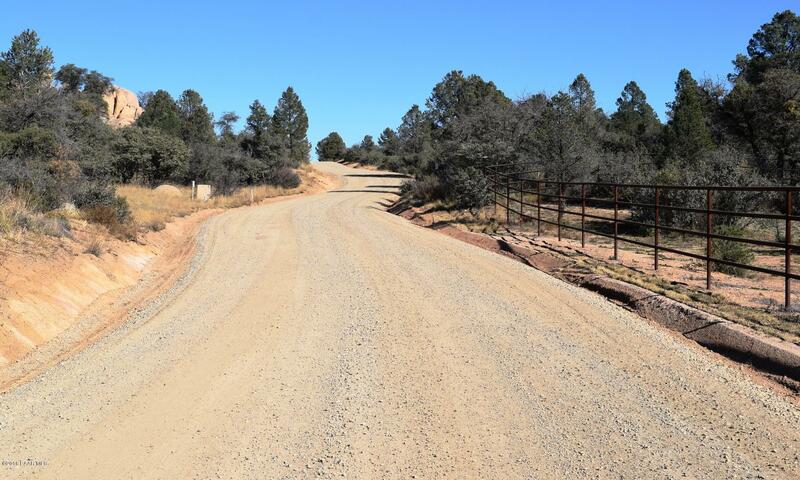 The 2-acre minimum lot size is applicable for this lot. 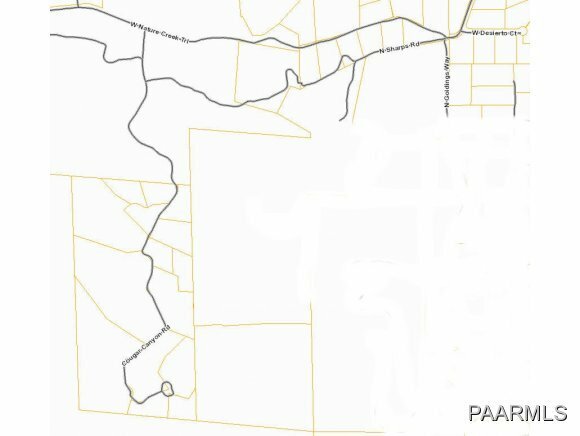 This neighborhood has all utilities except water in and underground. 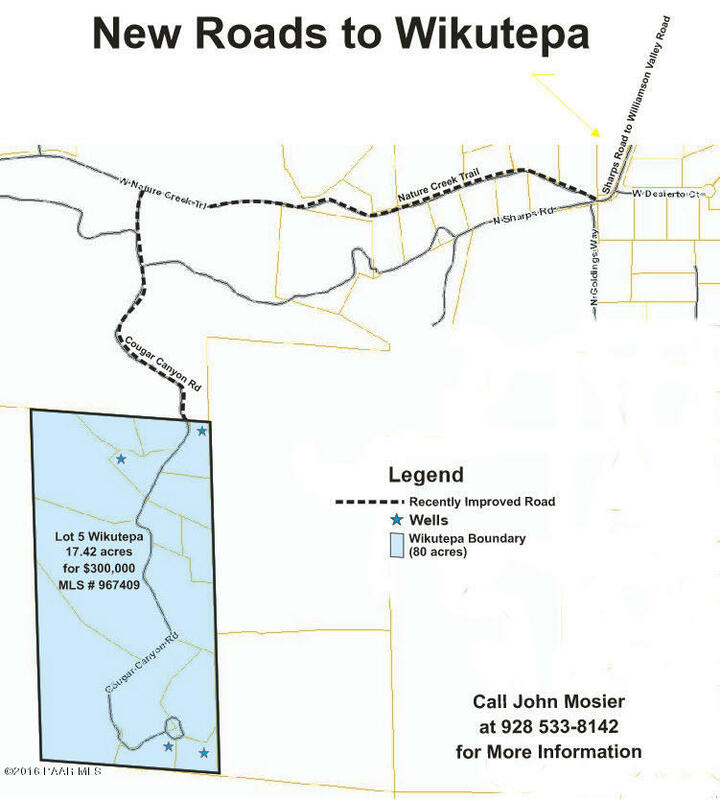 The road through Wikutepa is paved. 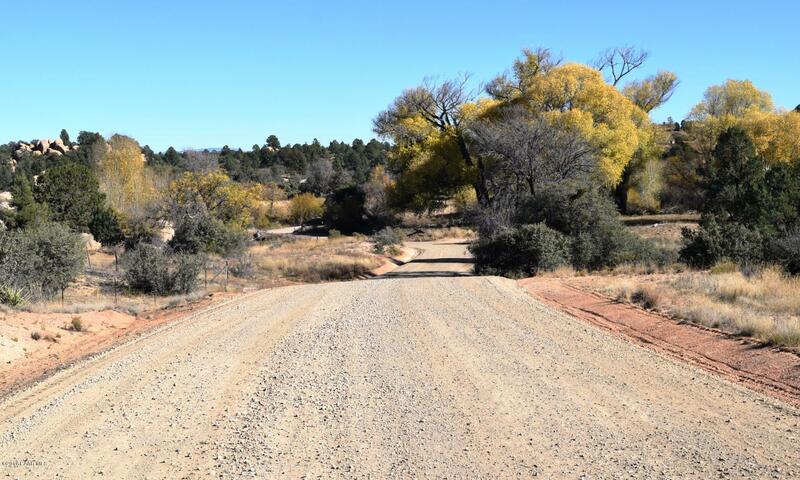 Lot size as defined in the Survey as being 17.42 acres. 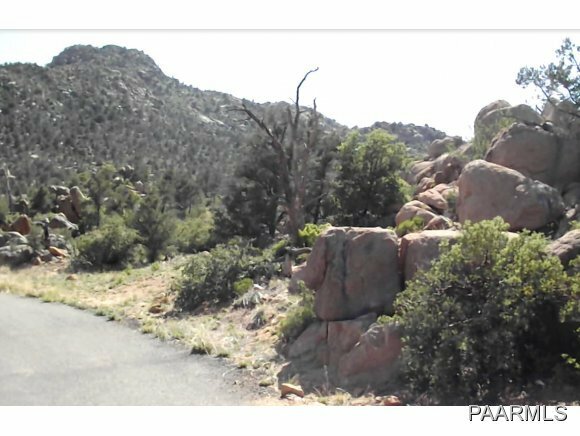 Coordinates: 34.68386N 112.56183W. 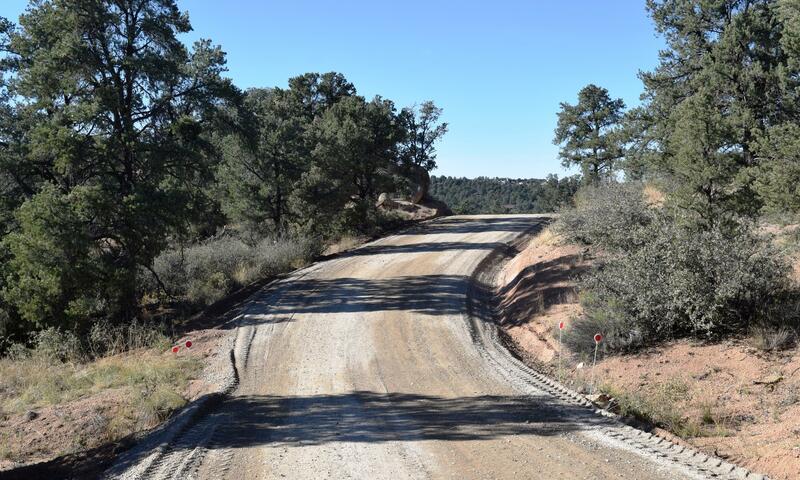 Nature Creek Trail and Cougar Canyon Road have been widened and improved, possibly to be paved in the spring of 2017.